The Phi Gamma Delta house at 2331 Sheridan Rd. Fiji headquarters suspended the NU chapter’s operations and removed members. 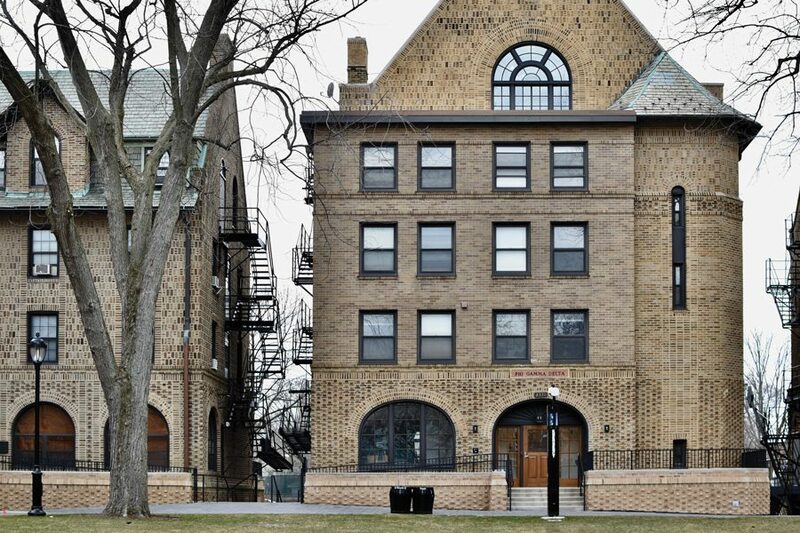 The international headquarters of Phi Gamma Delta fraternity temporarily suspended operations of its Northwestern chapter until fall, removing 25 members despite their objections. The headquarters handed down the suspension due to low membership, according to a Tuesday statement to The Daily. The decision was made by some alumni of the NU chapter and headquarters staff, according to the statement. Yet Fiji members disputed the statement and said they were not given an option, three members told The Daily. The members said they believe the involved alumni and headquarters staff disliked the chapter’s rejection of mainstream Greek life behavior. NU was not involved in the decision but worked with Fiji headquarters to support them throughout the process, Charles Andrean, assistant director of fraternity and sorority life, told The Daily in an email. University spokesman Al Cubbage told The Daily in an email that NU appreciates the Fiji alumni who “invested so much” to ensure that the chapter remains strong. A $5.8 million renovation began in the summer and is underway at the Fiji house on campus. Many of the members were planning to move in after the renovation was complete but are now forced to find a new residence, said Weinberg junior Aaron Zimmerberg, the former treasurer. Zimmerberg said the decision was sudden and especially disruptive for new members who are subject to the University’s two-year live-in requirement, which began in the fall. “We have recommended that IFC re-evaluate (Fiji’s) membership in the council, and that students considering going Greek be aware of the ruthless actions this organization has taken to override undergraduates and force their will onto this chapter,” Hinds said. According to its statement, headquarters staff will visit campus for about six weeks to recruit new members in the fall — when the renovations will be complete — and this year’s members have been given privileges and status as alumni.